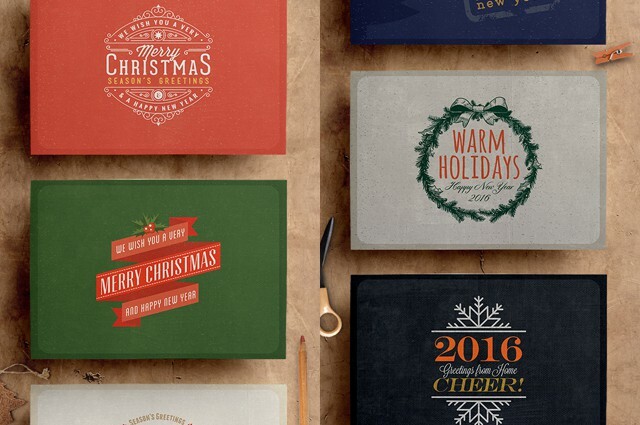 Are you looking for a creative way to send Christmas greetings to your customers, friends or family? You sure should get going as the special days are approaching fast. As always the time to churn out a creative idea of your own is scarce, so you will again have to rely on someone else’s items. Especially designs for Christmas tend to overdo it. 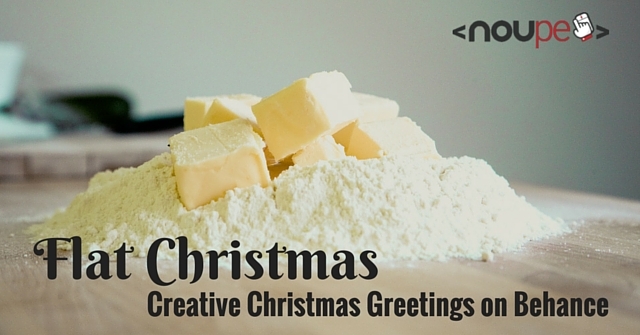 Most are cheesy with a sugar coating and try to transport all the conventional cliches of what Christmassy is. The creative network over at Behance offers alternatives, however. Today we have curated the most beautiful and unusual designs for you. Sophisticated layouts win from being reduced to the core. If cheesy equals the definition of Christmassy certainly is a question with different answer options. 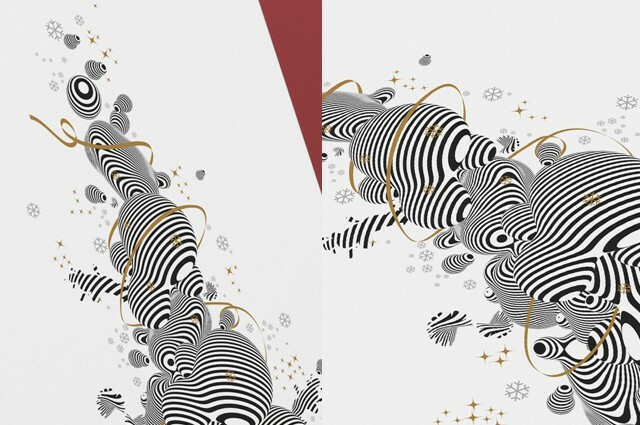 If you are not the vintage type, you might appreciate what designer Yiwen Lu has done to typical Christmas motifs using reduced coloring and geometrical shapes. Another literally flat design comes from Serbian agency Pure Solution. Lots of white space, simple icons as contours and pastel colors – Pure Solution’s greeting cards evoke Christmas feelings without being too sugary. As icons are especially popular in flat design, there is no shortage of Christmassy icon sets over at Behance. 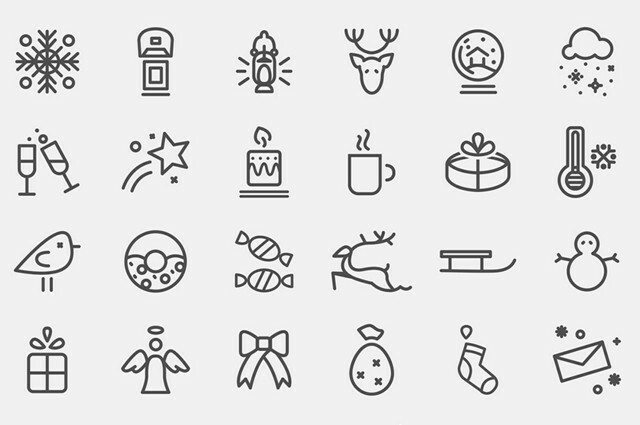 Ukrainian designer Olha Filipenko has created a set of 80 Xmas icons as simple shapes. Elks, angels, and bulbs are only a few of the pictograms that basically cover all aspects of Christmas. Besides the cheesy trail and overly decent stylish designs, there is a variety of exceptional layouts. If you like it a little less mainstream, you will find what you are looking for on Behance too. 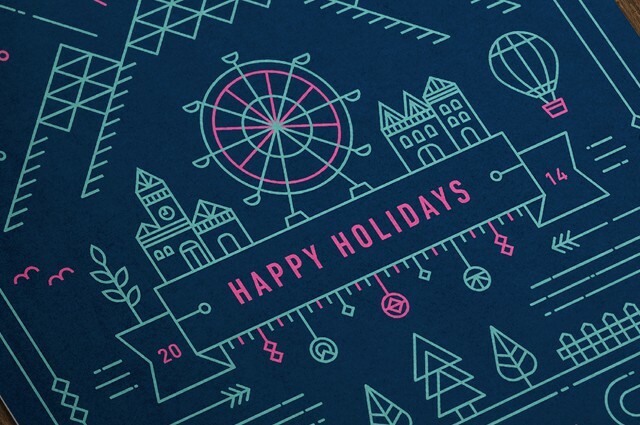 Take a look at that eye-catching Christmas card by designer Julio Ferreira from Portugal. It consists of amorphous shapes that only at second sight reveal being kind of a Christmas tree. Some snowflakes and stars eliminate all doubts that this might not be a season greeting. Designer Ema Rogobete from Denmark is also more the unconventional kind. 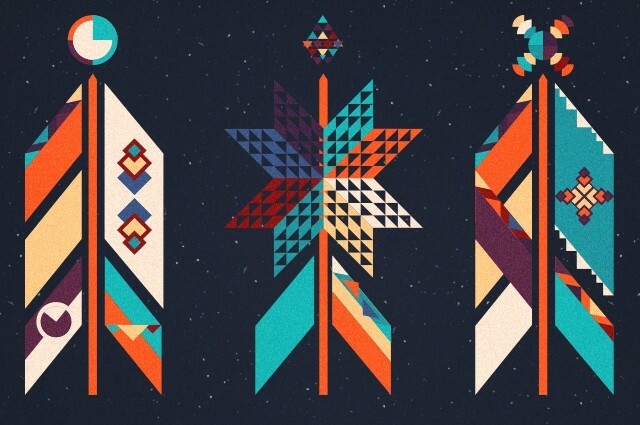 Her Christmas trees, bulbs, and stars are made from simple geometrical shapes. While this is all very reduced, Ema does not skimp on colors; all the traditional colors are to be found. 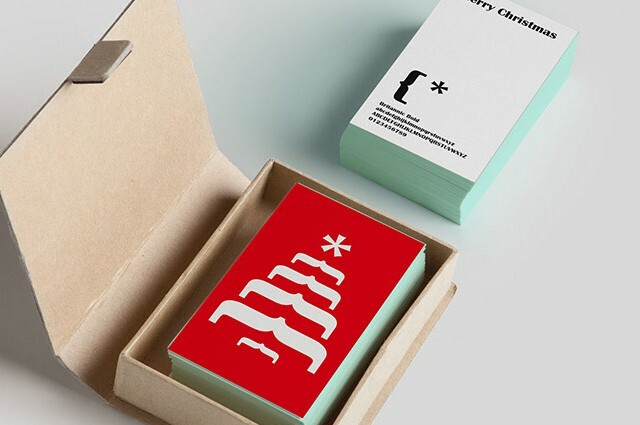 Friends of sleek typography might like these very reduced typographic Christmas cards by Italian Luca Milani. His Christmas tree is made from brackets; his Christmas star is a single X, and the snowman is a mere 8. If you find all of the above too offbeat and not Christmassy enough, you can also find traditional design ideas at Behance. These are still chic and stylish, what makes them stand out from the crowd of common layouts. 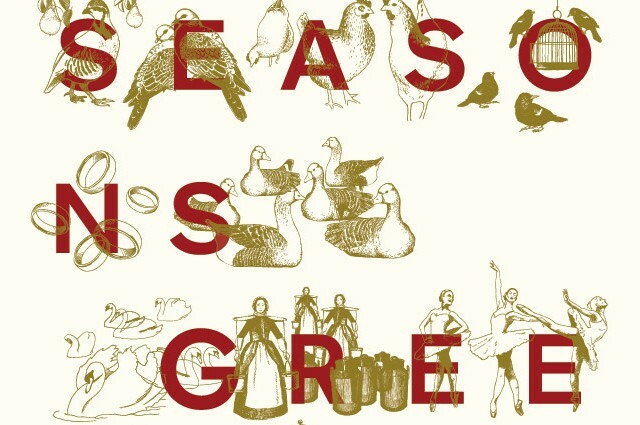 Designer Claire Vincent from the UK took traditional Christmas illustrations derived from the English Christmas carol „The Twelve Days of Christmas“ and combined them with a contemporary typeface. Out came a beautiful mixture of Christmas vintage and exceptional modern design. If you like more of the traditional style, take a look at this card pack by Romanian designer Tania Macarenco. 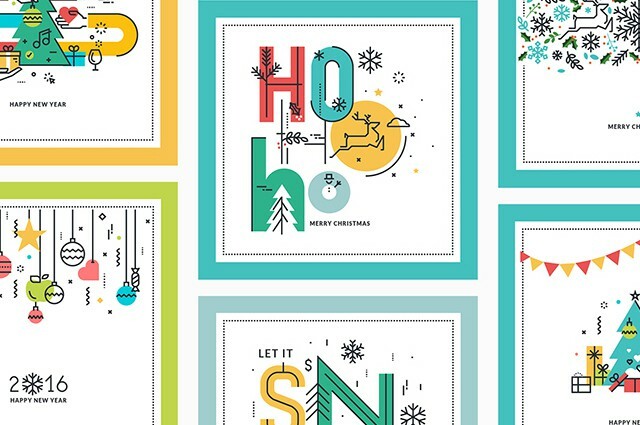 Although Tania sports a more conventional approach, she does not go the cheesy way but relies on reduced illustrations and a prominent typography in typical Christmassy coloring. No matter what your preferences are, whether you like it abstract, modern, traditional, head on over to Behance. 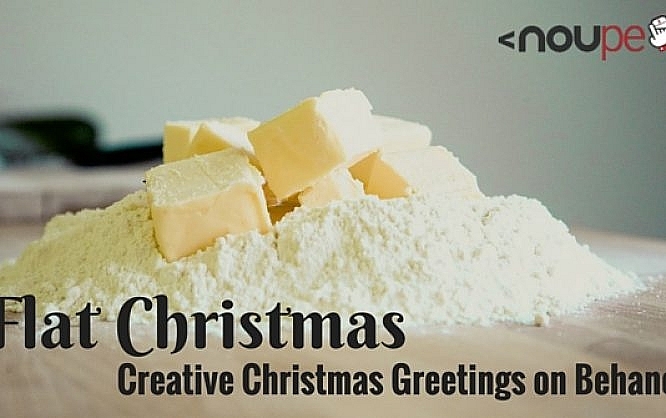 It is a well of inspiration for pretentious Christmas greetings. Which ideas do you like best?